A series of Paid Union Meetings has been called nationally by the PPTA (Post Primary Teachers Assocation) to discuss matters relating to the negotiations for the Secondary Teachers’ Collective Agreement which expires in October 2018. All members of the PPTA will be required to attend the meeting which, in our case, will be held in Porirua on Thursday 31 May. This meeting is an official paid union meeting under the conditions of the teachers’ employment agreement. It is NOT industrial action. 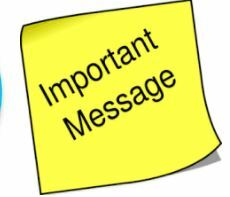 With a large group of staff unavailable to teach, we have decided that classes for the morning of Thursday 31 May will be restructured and College will conclude at 12:30pm. The Canteen will not be open for lunch on this day. Arrangements have been made to transport bus students home at that time.